Personalize your Moonlight Halfmarathon 2019 medal! Discover how to personalize your medal; you can insert your name, surname and time race! 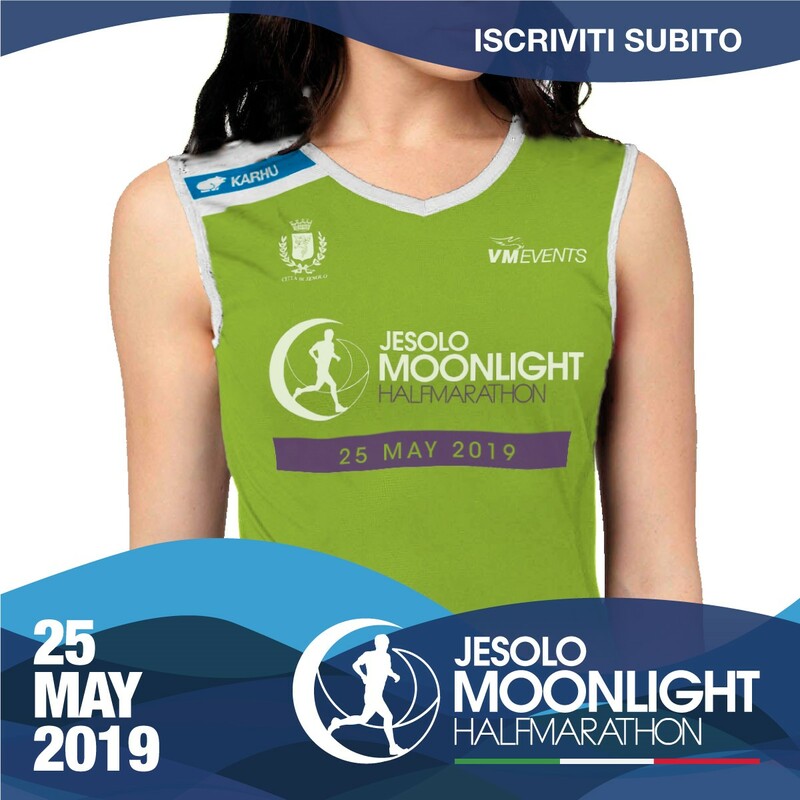 The new Jesolo Moonlight Half Marathon 21K T-Shirt! 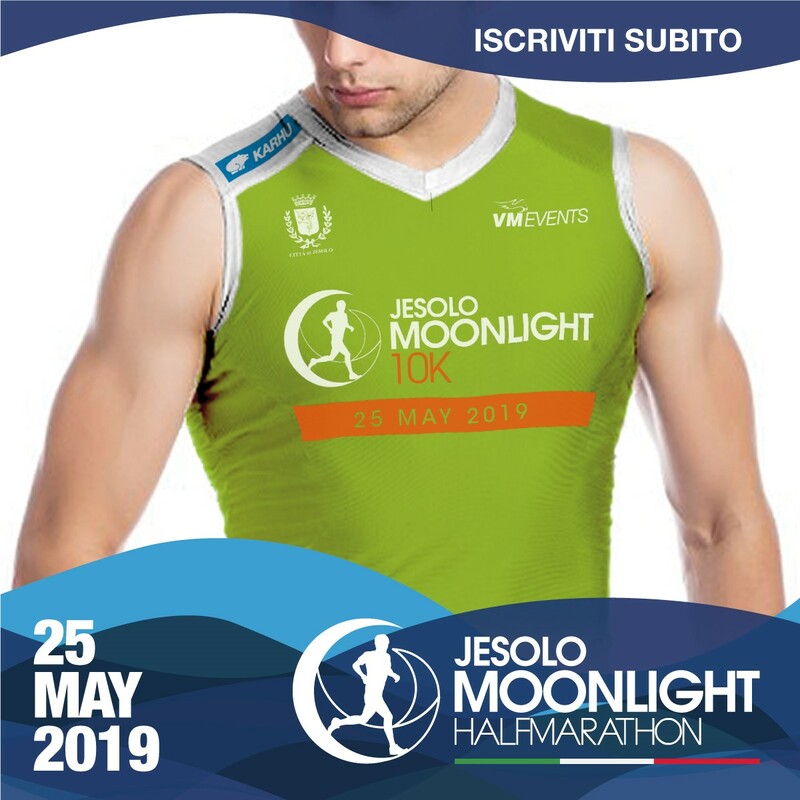 The new Jesolo Moonlight Half Marathon 10K T-Shirt! This is the technicat T-shirt of the Moonlight Half Marathon 10K, designed by Karhu. What are you waiting for? Register now! Hotel Sayonara is the official hotel of Jesolo Moonlight Halfmarathon! Book your stay at the Hotel Sayonara and enjoy a relaxing weekend at the beach! Hydration is extremely important; the body is composed of 60% water, which is used for thermoregulation, breathing, communication between cells and neurons. A unique race will be organized on Saturday, May 25, in Jesolo. Athletes will run in the moonlight and with a final "beach party" for everyone by the sea.